©2018 UNILEVER This website is directed only to U.S. consumers for products and services of Unilever United States. This website is not directed to consumers outside of the U.S. Create a profile parting from the forehead finishing at the top crown. Create a circular section from the profile parting sitting 2 inches back from the hairline, finishing at the high recession. 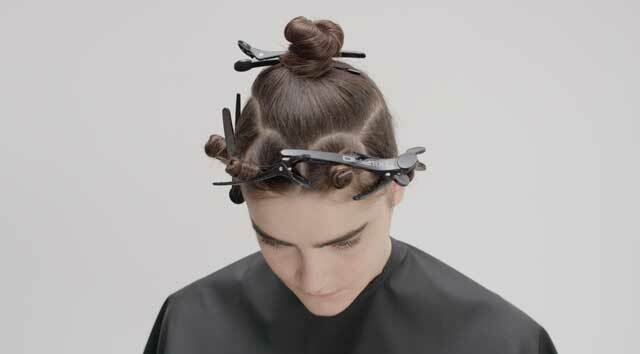 Continue by taking a larger circular section from the high recession, finishing behind the ear and secure with TIGI PRO Sectioning Clips. In total, this creates two sections around the perimeter. Repeat the same process on the opposite side. 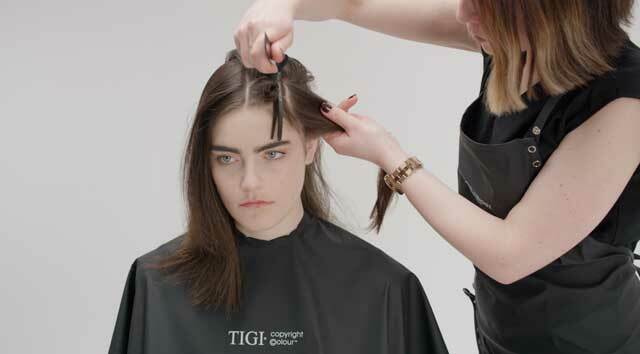 Create a horizontal parting from radial to radial at the low crown and secure the back two sections with TIGI PRO Sectioning Clips. This creates a total of six sections. Put on protective gloves. 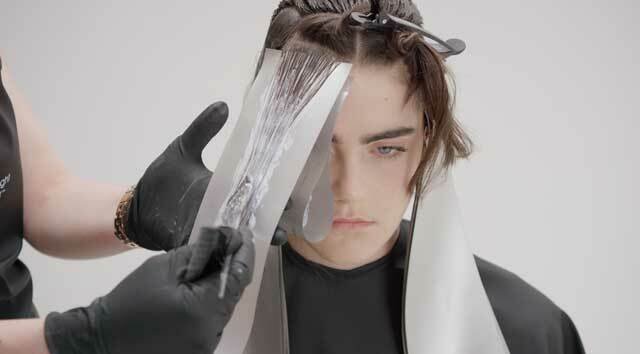 Start by taking a horizontal parting and apply Formula 1 to the new growth area through to the lengths and ends. 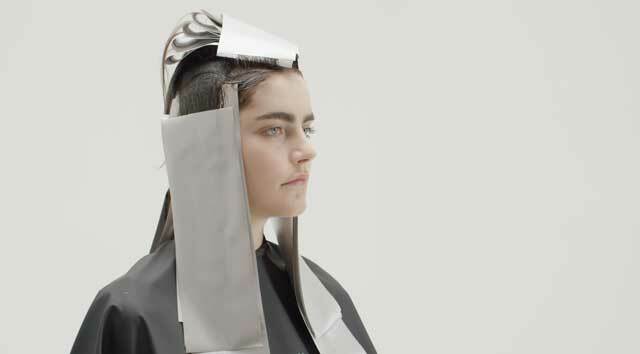 Protect the nape area using a TIGI copyright©olour meche strip. Continue working through to low crown. From the low crown take horizontal partings and apply Formula 1 to the new growth area through to midlengths. With a freehand blending technique, apply Formula 2 to the lengths and ends. 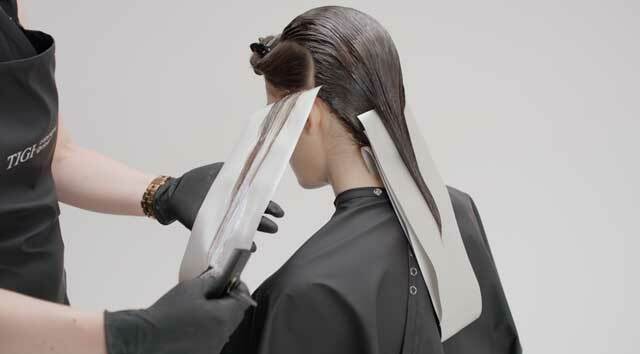 Isolate the section using a TIGI copyright©olour meche strip. Progressing into the side circular section, take a slight diagonal parting. Apply Formula 1 to the new growth area through to the mid-lengths. With a freehand blending technique apply Formula 3 to the lengths and ends. Isolate the section using a TIGI copyright©olour meche strip. Once complete, repeat on the opposite side. Progress into the last section, take fine slices and apply Formula 1 to new growth area through to mid-lengths. With a freehand blending technique, apply Formula 3 to the lengths and ends. Isolate section using TIGI copyright©olour meche strips. Repeat the same process on the opposite side. In between each slice, apply Formula 1 on the new growth area through to the mid-lengths. 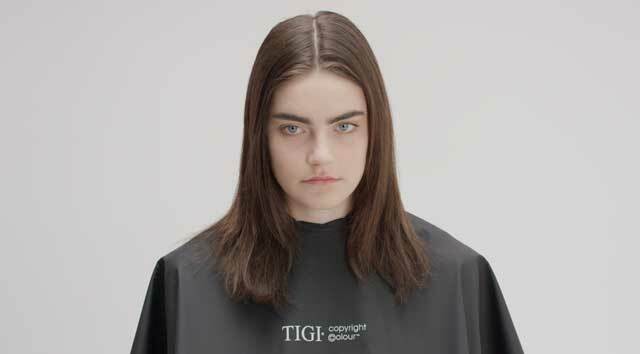 Process the colour for 20 minutes, then emulsify, rinse and remove using Catwalk Oatmeal & Honey Shampoo and Conditioner. 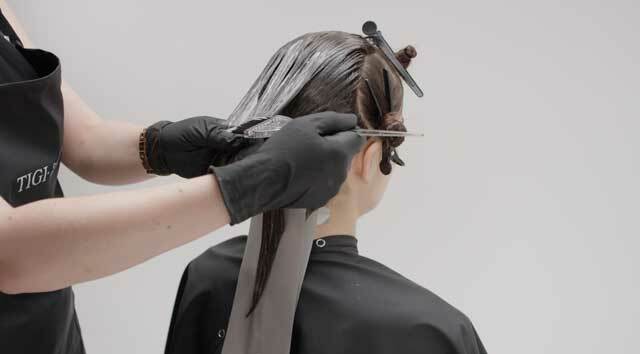 Tone the pre-lightened sections with Formula 4, process visually for up to 20 minutes, then emulsify, rinse and remove.